Funkadesi blends Indian music — bhangra, Bollywood, Indian folk — with reggae, funk, and Afro-Caribbean grooves. They draw musical influences from all over the world: Jamaica, The Caribbean, India and West Africa. The band hails from Chicago, proudly representing the diverse multi-ethnic communities within the city. Son Monarcas is a Chicago-based ensemble comprised of musicians who specialize in the Afro-Mestizo genres of Mexican folk music. They blend traditional styles with original arrangements, and take the audience on a musical and historical exploration of Mexico. "Son" is Spanish for "sound," but also refers to songs and music. "Monarcas" is Spanish for "monarchs," as in Monarch Butterflies. Turath Ensemble is a musical collective that performs folk music of Palestine, Syria, and Lebanon. Turath is the Arabic word for tradition or heritage. The group showcases songs, poetry, dance, and instruments from the Levantine region including the oud (Middle Eastern lute), shibaba (shepherd’s flute), and percussion. ​Kontras Quartet presents an engaging program of Haydn, Mozart, Debussy, Schulhoff, and more, with an emphasis on music’s connection to story. ​“Although music is an art that can be appreciated purely on its own,” Kontras notes, “the impact it makes increases when we remember the stories that surround it: how the composers lived, what emotional content lives in the sound of the music, and what it means to us when we hear it. Some music has a specific story it depicts; some music does not but still has a ‘mood,’ it still makes the listener feel a certain way. This program explores both kinds of music (Absolute and Programmatic), and puts the music into the context of the composers lives through the sharing of their stories. It also invites the audience to imagine stories of their own as they listen to the music and get in touch with how it makes them feel." Kontras Quartet currently has teaching residencies at Western Michigan University, Elmhurst College, and Chicago's New Music School. Passionate about music education and outreach, Kontras has made a major impact on students of all ages, presenting over two hundred innovative, interactive educational performances, reaching over 40,000 children. The 2015-2016 Concerts for Kids season was dedicated to the memory of Michael Reiniger, District 65 music educator. From the driving percussive beat of Samba, to the subtle expressionism of Bossa Nova, to the sophistication of the music of Villa-Lobos, Orquestra de Samba provides audiences of all ages with an unforgettable glimpse into Brazilian culture. The Orquestra is a collaboration of Chicago-area musicians with classical, jazz, and Latin backgrounds that come together to explore the depth, beauty, and power of Brazilian music. EISMA’s concerts will feature Luciano Antonio (guitar and singer; leader), Raphael Crawford (trombone and percussion), and Victor Garcia (trumpet and percussion). Fingers and bow flying, Dennis Stroughmatt takes listeners on a musical odyssey not so different from his own musical journeys into Upper Louisiana Creole culture. Taught to play fiddle by local Creole fiddlers living along the Mississippi River near St. Louis, Dennis is now the authority on this regional pocket of American antiquity. A vibrant blend of Celtic, Canadian and Old Time sounds, this unique music bridges gaps between contemporary Canadian and Louisiana Cajun styles. Preserved by families in the Ozark foothills, the music remains largely intact and true to the traditions that have been passed down over three centuries. Dennis performs with Jim Willgoose (upright bass/vocals), a long-time musician with a PhD in philosophy and former touring member of the band NRBQ. Jim currently teaches at the Kaskaskia Community College in Centralia, IL. Doug Hawr (guitar/vocals), from southeastern Illinois near the Wabash River, runs his music store and teaches music. He performs with his family bluegrass band as well as with the Vincennes University string ensemble. Diane Delin is a Chicago-based jazz violinist, composer, educator and producer. 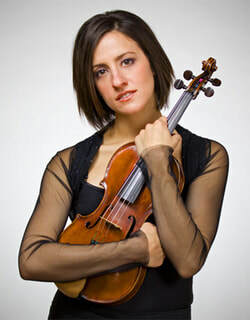 The Downbeat Critics Poll has placed her in the “Rising Star” category four times, and the Los Angeles Times remarks, “Delin produces improvisations of considerable style and unmistakable integrity.” Neil Tesser writes that she “can light a real fire under a band and an audience.” Diane tours in the US and Europe with her groups. She has also played and toured with other groups, including the Frank Sinatra Orchestra. Her participatory educational program, “Jazz Talk,” has been presented to thousands of students. She is also String Coordinator at Columbia College Chicago, where she is an instructor of classical, jazz, pop and folk lessons and ensembles. She has five solo albums. Her most recent reached #5 on the national jazz radio charts. Diane was kind enough to perform with Howard Levy at the EISMA 2014 Fall Fundraiser, which was supported by many Evanston families. Maxwell Street Klezmer Band plays klezmer, which is a combination of traditional, Eastern European music, and American jazz as played by early immigrant musicians. During their EISMA tour, the band demonstrated the klezmer style to over 8,000 students and staff. Maxwell Street introduced their style and instruments through rhythm and participation songs, with a view toward promoting the uniqueness of each child's own cultural heritage and traditions. Students especially enjoyed watching their teachers learn to dance a hora! The band has performed on stages throughout the United States and Europe. They have appeared at Carnegie Hall and Lincoln Center, and appear regularly on NPR, PBS, and WFMT. In 2013, the band had two sold-out 30th Anniversary concerts at the Old Town School of Folk Music, and were featured in 2014 in the debut of "Klezmer Rhapsody" with Chicago Sinfonietta at Symphony Center in Chicago. The band has recorded five CDs and published a band book/CD for grass roots musicians called "The Joy of Klez." Reginald Robinson returned to Evanston to perform for an entirely new population of students. Robinson first dazzled Evanston students during a 2002 EISMA concert series. In the years since then, he has been awarded the MacArthur “Genius” Award and most recently performed on the historic Pullman Rail Journey between Chicago and New Orleans. For this year’s series, a projection system was utilized to magnify Robinson’s hands and keyboard while he played so every student had the best seat in the house. Zambian musician Mathew Tembo brought his own brand of Afro-fusion to Evanston schools, blending indigenous Zambian music with contemporary sounds. In each show, Tembo demonstrated the different traditional instruments he used and explained how they were made. He also spoke about his creative process, citing influences such as Jamaican reggae and traditional Zambian folk songs. Tembo was joined by Chicagoland musicians Brendan Forrest, electric bass, and Kalyan Pathak, percussion. One teacher was pleased to note that the performers took the time to explain their instruments and how they all fit together. Students eagerly participated by singing, clapping, and dancing—many students and teachers even danced in the aisles! ​The Spring 2013 concert series featured the Lowdown Brass Band, a New Orleans-style, "Second Line" brass ensemble. The "Second Line" tradition includes a lively take on many different genres of music. Parades are common elements of the musical presentation, and students enjoyed the deep bass tones of the sousaphone player as he danced to the beat. EISMA kicked off 2012 with Toque Chicago, an ensemble dedicated to the history, philosophy, and influence of Afro-Cuban folkloric music. Afro-Cuban folkloric music, comprised of drumming, song, and dance, is a prime example of the influence of globalization on today's music: people and cultures of different places coming together and mixing to create something new. The philosophy behind the music encompasses a respect for the earth, self, and others. Aspects of this music sounded familiar to students, as its influences are styles and genres heard in many of today's popular artists. Members of Toque Chicago have studied with some of the most well-known percussionists and other musicians, past and present. All have traveled to Cuba to study and have dedicated much of their time and energy to learning and respecting the customs and nuances of Afro-Cuban styles such as Bembe, Oru Secu, Oru Cantado, Guiro, and Guanguanco. During the Fall series, ensemble members explained these customs and demonstrated percussion instruments such as the Bata drums (lya, itotele, okonkolo), Chekere (guiro), and Tumbadores (conga). Flamenco music and dance was performed by singer and dancer Chiara Mangiameli, guitarist David Chiriboga, and singer Patricia Ortega. A sought-after flamenco teacher, Chiara teaches workshops and gives educational presentations at institutions such as the Cervantes Institute, Columbia College, and the University of Illinois at Chicago. David currently plays with El Payo, Guitarra Azul, and the Ensemble Espanol Spanish Dance Theater. Patricia has performed with groups ranging from the Lyric Opera Children's Choir to the several original and cover bands, and also as a soloist and composer. Ensemble Tangata featured Mark Sonksen on bass, Victoria Moreria on violin, Hector Silva, bandonean, and Leandro Lopez Varady, piano. The ensemble performed tango music locally, nationally, and internationally at venues such as the Chicago International Tango Festival and Old Town School of Folk Music, and in shows Tango is my Shadow and Argentine Tango on Stage. The Henhouse Prowlers have been influenced by a diversity of musical traditions, including blues, barbershop, and Broadway tunes; church music and shape note singing; opera, old-time, classical, country, and folk music; and funk. The Henhouse Prowlers' performances focus on the early sounds of bluegrass music. The Henhouse Prowlers compose and perform original music. They composed the soundtrack for a PBS documentary. They are a full-time traveling band and have performed all over the United States. The Henhouse Prowlers are recent winners of the Chicago Music Award for best Country/Western entertainer of the year. They feature fiddler Ryan Hinshaw, Eric Lambert on guitar and violin, five-string banjo picker Ben Wright, and upright bassist Jon Goldfine. The music of Ac•Rock is a cappella rock ‘n roll. Ac•Rock's Evanston performances included a discussion of the evolution of singing, a cappella, and basic musical concepts. Ac•Rock got each audience involved, singing and clapping along, as they performed a musical overview of rock 'n roll from the ’50’s to the ’90’s, from boys choirs to rap. Ac•Rock’s all male quartet included Paul Iams (tenor), Gary DeVar (tenor), Chris Brown (baritone), and Mark MacLean (bass). Ac•Rock has performed for the Chicago Cubs, White Sox, and Bulls. They have appeared on the WGN Morning News, Chicago radio stations, and at schools all over the Chicago area. They’ve opened for comedians Martin Short, Wayne Brady, the late Bernie Mac, and Senator Al Franken. They have sung all over the United States, including Alaska and Hawaii. The music of the Occidental Brothers Dance Band International features classic Central and West African dance music --Soukous, Highlife, Rumba, and Dry Guitar. Bandleader and guitarist Nathaniel Braddock teaches African guitar at the Old Town School of Folk Music in Chicago. The OBDBI has performed at the Chicago World Music Festival, Folk and Roots Festival, Bucktown Arts Festival, and several venues around Chicago. After an Evanston school performance, one elementary school teacher said, "The kids really enjoyed the music. My students were very excited to discuss what they had learned!" Lamajamal is influenced by the music of Turkey, the Balkans, North Africa, and the Middle East as well as the '60s "surf" sound. Lamajamal has performed widely throughout Chicago, at venues such as the Museum of Contemporary Art, Children's Museum, Greek Archdiocese, and World Music Fest. "Thank you for playing at our school," said an Evanston elementary school student. "I don't think I've ever heard music like that. I liked the clarinet because I play it, and maybe I can learn how to play like that."